Lot Detail - 1960 Topps Roger Maris baseball card #377 Very nice condition! 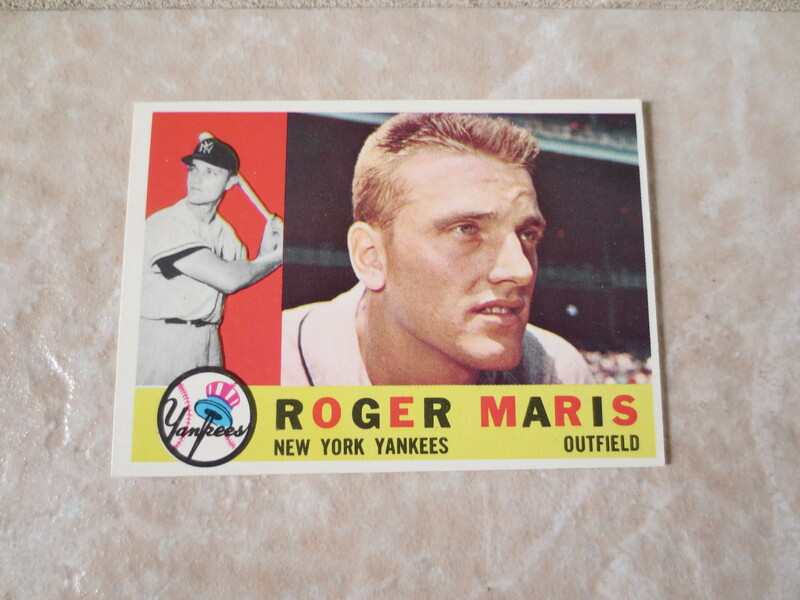 1960 Topps Roger Maris baseball card #377 Very nice condition! 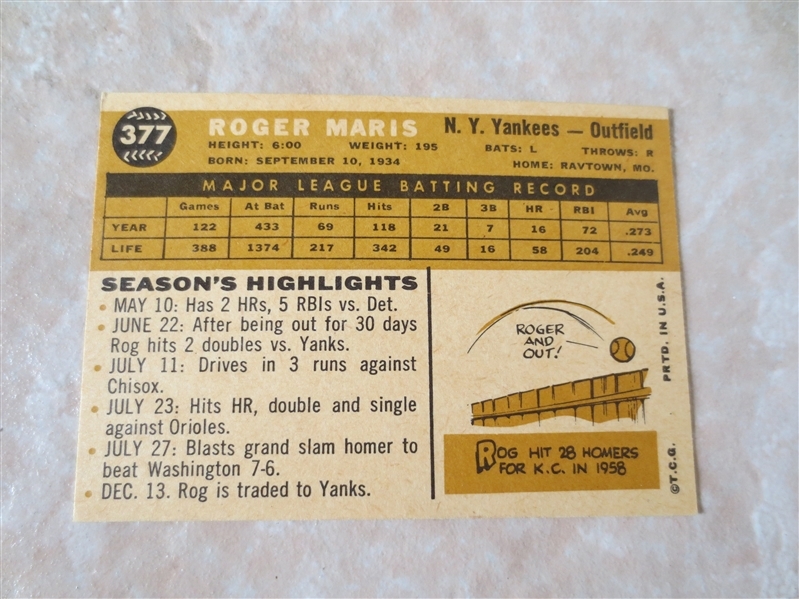 What we have here is a 1960 Topps Roger Maris baseball card #377. It is in very nice condition with its only detraction being the centering. I would grade it at least near mint.